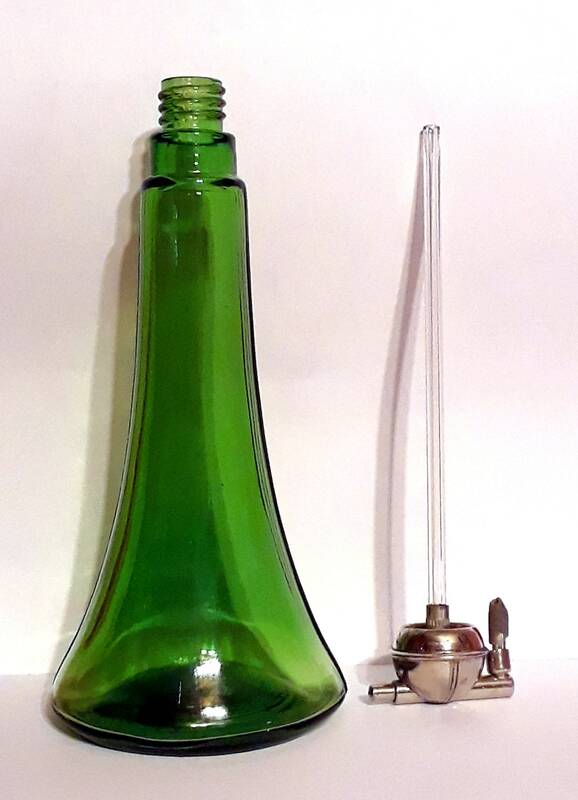 Antique 1920s Richard Hudnut Perfume Atomizer Bottle Green Glass Counter Demonstration Tester. 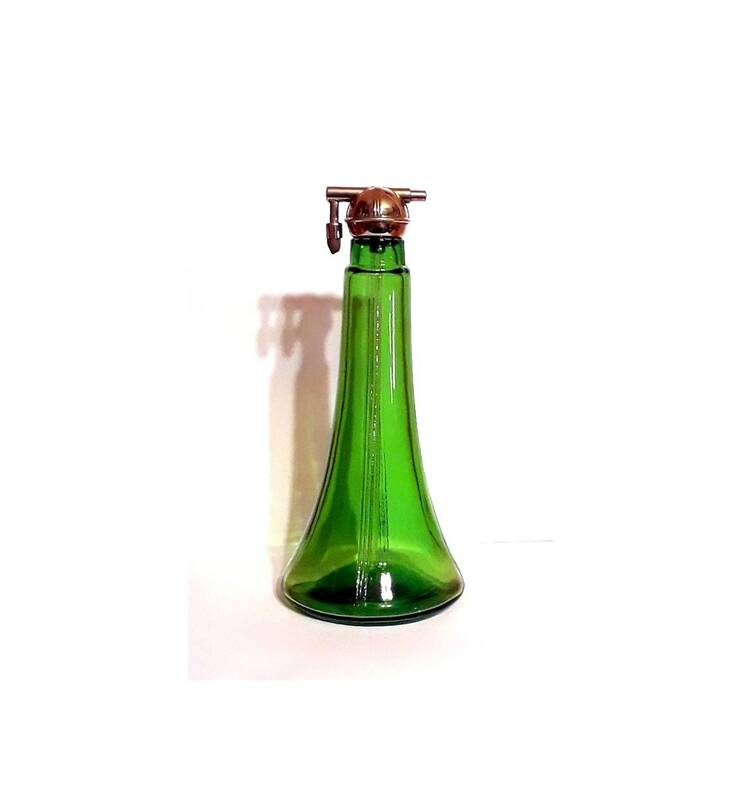 This emerald green glass bottle has Art Deco nickel or chrome plated hardware and a glass siphon tube. 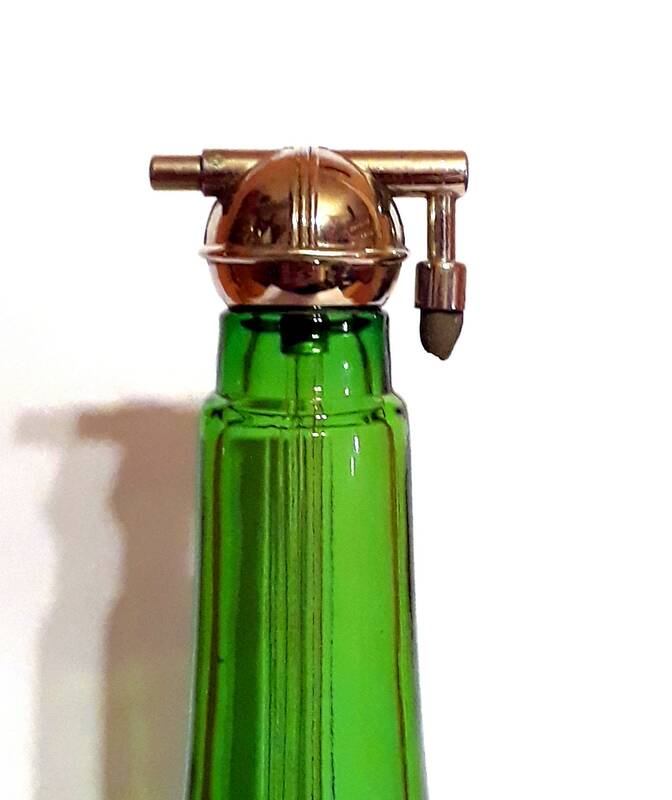 There is no maker's marks on the bottle whatsoever, but I believe it to be American made. 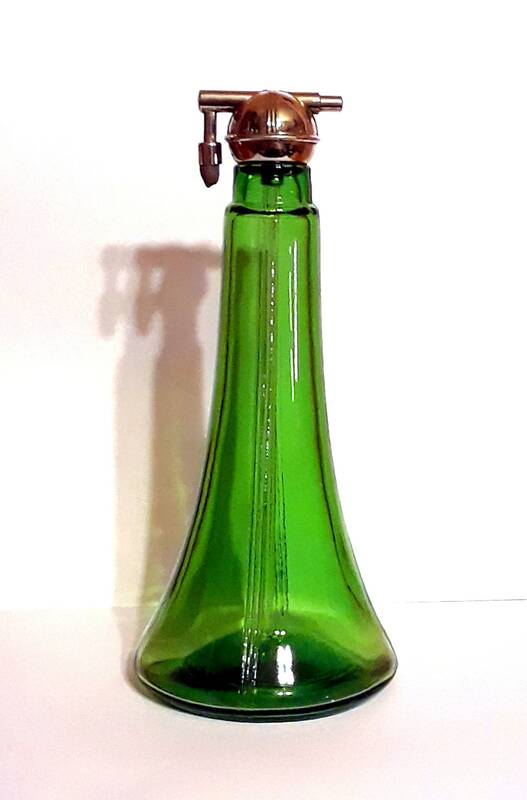 This bottle was used by Richard Hudnut during the 1920s to demonstrate perfumes, probably from the Le Debut line. 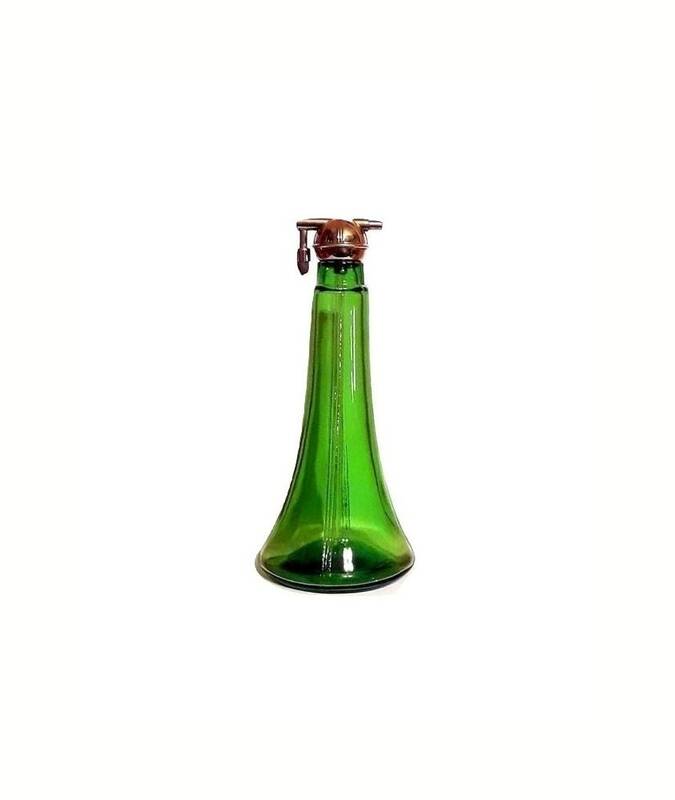 I have seen this bottle in other colors from the Le Debut line as well. 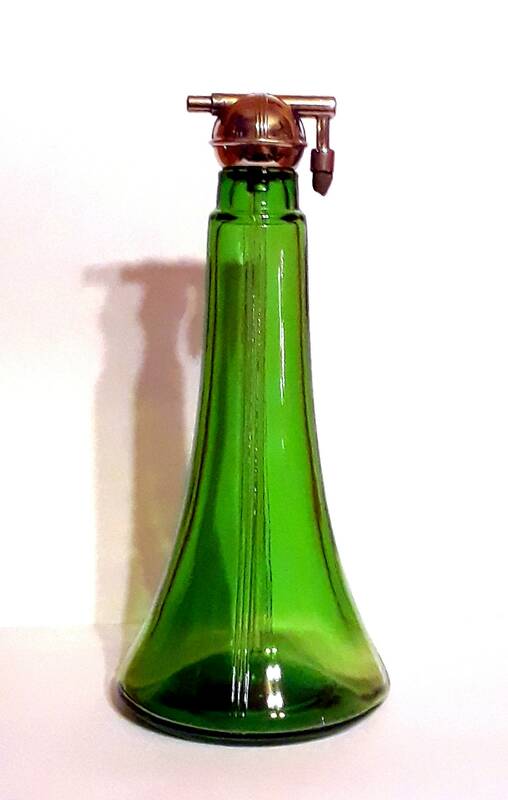 There is no cord or bulb on this bottle, it has long since deteriorated and needs to be replaced. 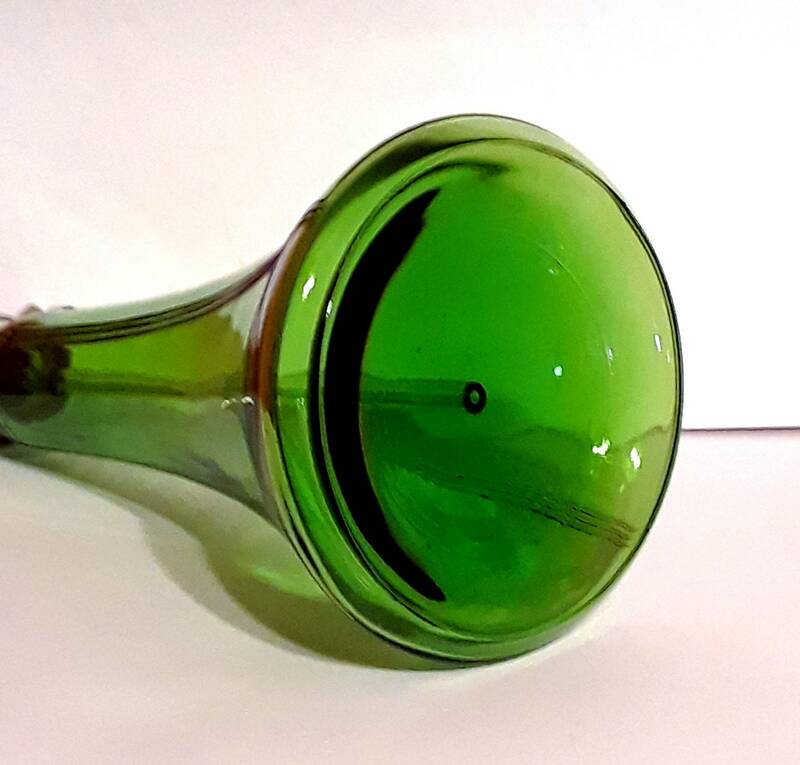 No chips or cracks to the glass.